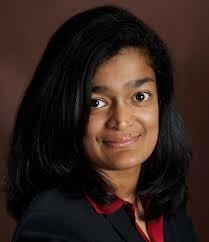 Activist Pramila Jayapal is one of the United States’ best thinkers today. An immigrant from India herself, she came to the US at 16, thanks to her parents’ sacrifices, and worked on Wall Street after college, but then turned to issues affecting immigrants, migrants, and America’s diverse populations. Bad immigration policy disproportionately and adversely affects women, Jayapal argues, and immigration reformers and women’s movement organizations need to unite on the issue. Today, Jayapal chairs the “We Belong Together” campaign on women and immigration (www.webelongtogether.org). Missoula-area activist and author Kay Whitlock converses with Jayapal, and Jayapal’s essay with Gloria Steinem on immigration policy as a women’s issue is read after the conversation. Originally aired June 10, 2014. Produced by Kay Whitlock and Beth Judy, with thanks to Beth Anne Austein.